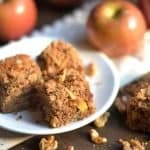 A moist apple cake topped with a spiced walnut crumb topping is sure to make anyone’s morning a little brighter. 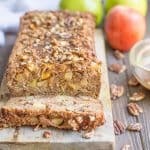 This grain free Apple Walnut Coffee Cake makes the BEST addition to any Fall breakfast, brunch or even dessert! HAPPY SUNDAY!! So I’ve officially, unequivocally said bye-bye to summer. 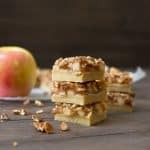 I love summer, and sometimes I don’t like to see it end, but when I have apples, pumpkins, spices, soups, chili, and cooler weather waiting for me it makes it so much easier. I love my house to smell like fall, don’t you? Then you may just want to get right on it and make this coffee cake. 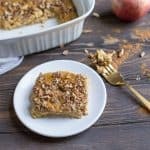 Celebrate back-to-school, jeans weather, or just a lazy Sunday with this Apple Walnut Coffee Cake! You’ll love this variation of coffee cake that has all the wonderful smells and tastes of fall without the guilt. 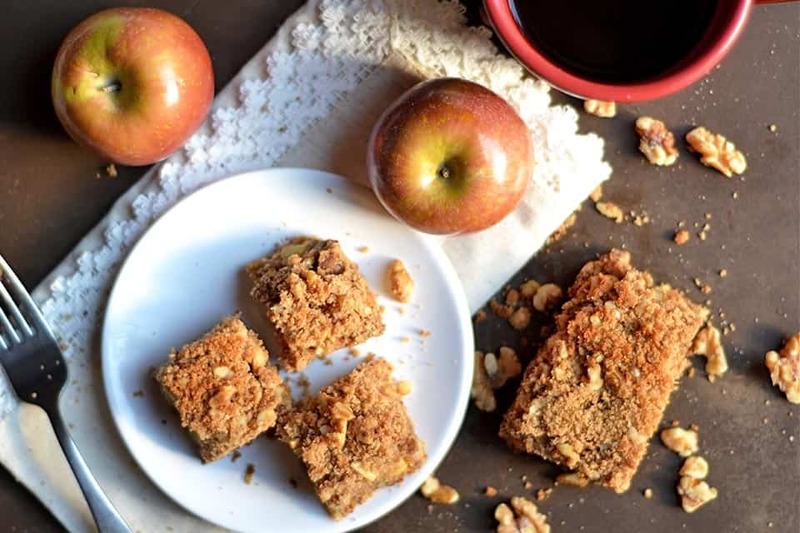 This Paleo version of coffee cake will knock your socks off. 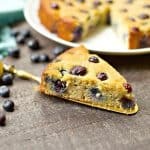 You don’t even have to be a Paleo or Gluten-free person to enjoy this; trust me, my family devoured this cake!! Not a crumb left behind. I love this version because I can enjoy it with my afternoon cuppa tea, and it doesn’t feel heavy. To get started you’ll mix the dry ingredients. Skin, core, and chop up your apple into really small pieces and sprinkle with a little lemon juice to prevent browning. Mix the wet ingredients and fold in the apples. 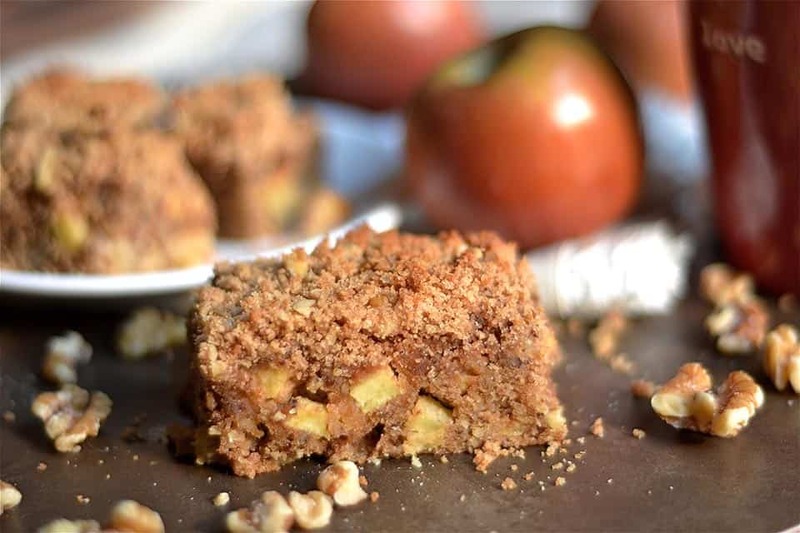 Spread into an 8×8 pan, and top with the crumb topping. This cake will cook in anywhere between 32-25 minutes. I’ve made mine a few different times and I prefer the 35 minute mark. The cake will be crumbly when you cut into it, but still will hold shape. Serve warm or at room temperature. Store the cake in the fridge for up to 4 days. I am pretty sure it won’t last that long! Begin by preheating your oven to 350 degrees. Lightly grease an 8x8 pan and line with parchment paper (I use a sling so the parchment paper hangs over the sides). 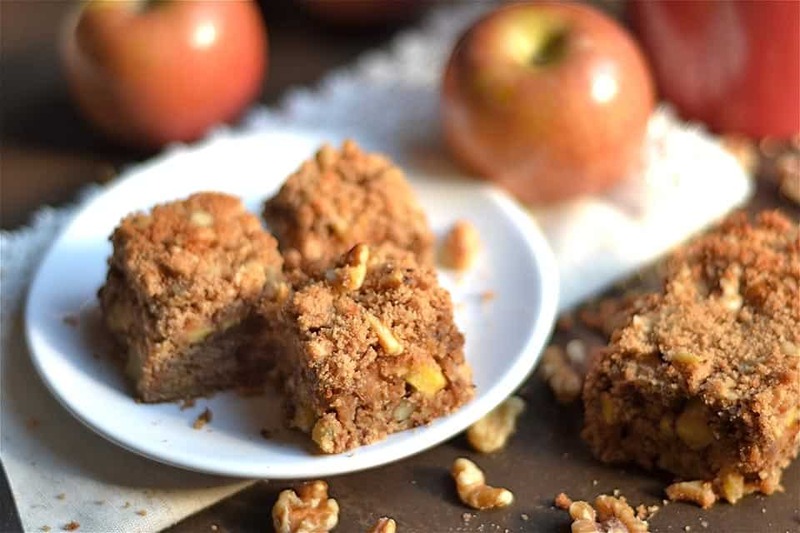 Peel and core your apples, and chop into small chunks (about 1/4 inch chunks). Set aside in a bowl and drizzle with lemon juice. In a large bowl, mix together your dry ingredients: flours, baking soda, salt, spices, and walnuts. In a smaller bowl, whisk the eggs and add vanilla extract, melted coconut oil, and maple syrup. Pour into dry ingredients. Mix until well incorporated and dry flour pockets are gone. Scrape down the sides of the bowl with a spatula when needed. Slowly fold in apples. Batter will be thick. Spoon or pour batter into the 8x8 pan and spread batter with a spatula so it's even. Make the crumb topping: mix together coconut flour, walnuts, cinnamon, salt, and sugar. Stir in wet ingredients (oil and syrup), and mix until mixture is evenly wet and crumbly. If you need to make the mixture more wet, add in additional maple syrup by the tsp. Crumble on top of the cake batter and place in the oven. Bake for 32-35 minutes. Let sit for 10 minutes before cutting into small squares. Cake will be crumbly, but will still hold shape.